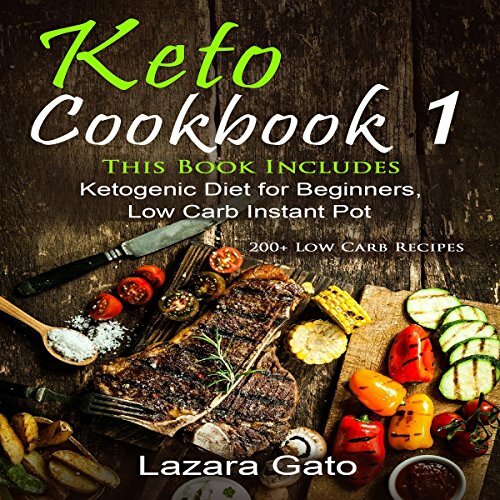 This is Book 1 of 3 in the Keto Cookbook series. Are you tired of wasting hours in your kitchen slaving over a hot stove? Are you searching for a unique and more convenient way to become healthier? Are there just not enough hours in your day to fuel your body with the best consumables possible? If any of these questions apply to you, then you have come across a very valuable resource that not only provides truckloads of information in regard to an easy diet, but also an awesome introduction to a kitchen appliance that you may already have in your cupboard! This book will help you create easy-to-make meals right in the comfort of your home. These meals are certainly not ones you pop in the microwave, but are created almost as efficiently! This is all thanks to the instant pot, a magical appliance that allows people to simply dump recipe ingredients into the pot, even frozen ones, and patiently wait for the magic to happen! The contents of this cookbook include more than just a plethora of delicious low-carb recipes, but it is also loaded with tons of valuable resources that will help you to get the most out of your diet choices with this appliance. In this book, you will find everything you need to know about the low-carb diet, along with everything you need to know about your instant pot, to ensure you get the most out of its use as possible! If you are ready to take the plunge into a healthier lifestyle with the help of the convenient instant pot, then this cookbook is the perfect one for you! Packed with recipes for many occasions, this book will help you to get started on the right foot as you venture into a low-carb diet. If you have any questions about this product by Lee Digital Ltd Liability Company, contact us by completing and submitting the form below. If you are looking for a specif part number, please include it with your message.